In his conception of Revolution, Fidel repeats himself and is multiplied. He never aspired to much for himself; the truth was his constant companion, in all his conduct and revolutionary action. Lies were anathema to him; telling the truth reflected his great respect for the people. With no consideration for personal glory or power, he fulfilled his duty serving the homeland. Arriving in Havana, January 8, 1959, in Ciudad Libertad, he made clear what the truth meant: “Deceiving the people, promoting false hopes, will always bring the worst consequences, and I believe that the people must be warned of excessive optimism. In a similar vein, Fidel delivered a speech on Santiago de Cuba’s Garzón Avenue, November 30, 1959, addressing an idea that was recurrent in his conduct, saying, “You know I always tell the truth. You know I will always tell the people the truth. You know I have always spoken clearly … You know I have always kept my word. You know I have always been loyal to the people. You know I have never acted hypocritically, never come around with lies, and I have always made an effort to explain and teach the people the little that is within my power to teach them, to remove the blindfold and open the people’s eyes to the reality of their homeland. With the truth, he won over millions; with the truth he made his adversaries tremble in fear. He loved his people, and with the truth, defended them from all adversaries and threats. Fidel did not fear telling the truth, even in the most difficult situations. He exposed every lie with which the enemy tried to hide its real interests and objectives. He denounced corrupt governments; he asserted the truth during his trial for the assaults on the Moncada and Carlos Manuel de Céspedes garrisons; and with the truth, on Radio Rebelde, informed the people of developments in the battle against the dictatorship’s army, building credibility within the population and among his adversaries. He reported every event, happening, and decision truthfully, no matter how sad, harsh, or difficult it might be. He never considered lying as a way to dominate; it was never a character trait or a part of his political approach. He never accepted a lie and attacked them ruthlessly. That is why, in the Revolution of, with, and for the humble – organized and led by Fidel – neither lying or violating ethical principles were ever considered, providing credibility and allowing for its continued existence. Foregoing this basic commitment would mean losing the Revolution’s strongest moral foundation, the weapon most feared by imperialism and its followers. 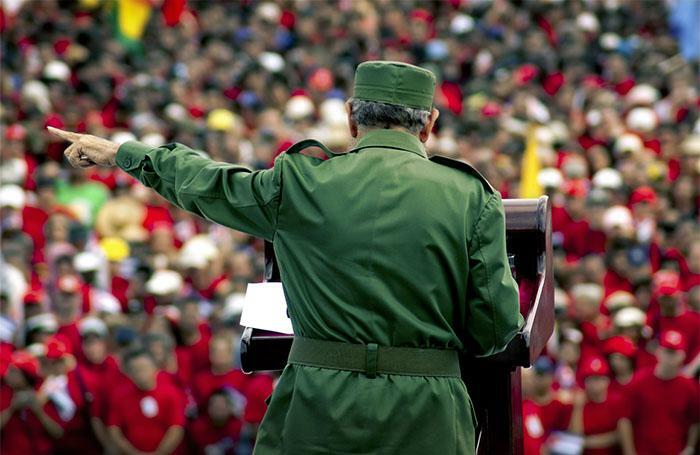 Over the years, heading the leadership of the revolutionary process, Fidel went about showing us his philosophical view of the truth’s significance, the importance of never lying or violating ethical principles. To get an idea of the value he gave this premise, one needs only to read his speeches, his remarks in the most diverse situations, interviews, and the opinions of his closest collaborators and those who knew him. It is especially noteworthy that in 1959 itself, amidst the complexities of leading a revolutionary process – marked by class struggle, contradictions generated by the new power and the radical changes undertaken, societal divisions, and imperialism’s implacable struggle to destroy the nascent Revolution – Fidel expressed his position regarding the need to make clear, with absolute courage and determination, the Revolution’s truths, as the most effective means to counter the lies. The first campaign of lies, slander, and defamation of the country was orchestrated by the United States following the legitimate decision to prosecute the most notorious officials of the Batista dictatorship’s army, who had murdered hundreds of Cubans. The revolutionary government responded with Operation Truth. Among many components, the effort included invitations to journalists in the United States and across Latin America to come, and with their own eyes witness what was happening during those first weeks after the triumph of the Revolution; Fidel’s public condemnation before a million Cubans and invited journalists, in front of the former Presidential Palace; as well as a meeting with 360 of these reporters from the continent, which Fidel explained had been convened in an effort to stem dissemination of slander. He invited them to talk with the people, to see the real Cuba, and learn the truth. Using the mass media was always his way of denouncing, clarifying, exposing, reporting, persuading, and mobilizing the masses. In his view, the truth must be spoken both within and without. It must be spoken without fear, even though it may create enemies, and not only before friends. It must be told to adversaries, even in their own territory. One of the lessons Fidel left us is that the participation of the people in political processes is not achieved with lies. Reflecting on the effect of lies in the dictatorship’s army, he said, “Lies led the armed institutions to suicide; with these lies they kept them loyal until the last moment, and then yes, the truth came out. Defeated on the battlefield, they were destined to being dissolved as institutions in the heart of the nation. Of great value is the maxim that never, for any reason whatsoever, should we sully our consciences with a lie or with hypocrisy. This is not a Revolution based on force, but rather one of reason, of heart. This is a Revolution of public opinion – and not public opinion that is prefabricated or constructed on a foundation of lies – but rather public opinion based on truth, not on hypocrisy or demagoguery, but on sincerity. Leaders have a great responsibility to the people, and a duty to always tell the truth.